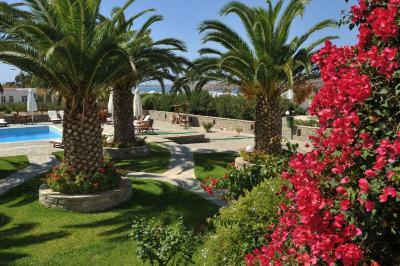 Lock in a great price for Eri Hotel – rated 8.9 by recent guests! Great place if you want to chill by the pool a few days. Very friendly staff. 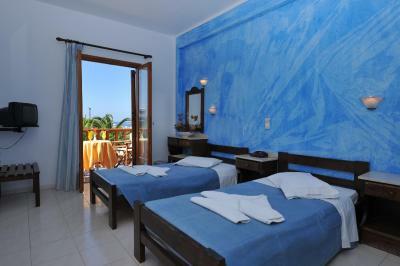 Decent rooms. Breakfast was a daily feast. My son probably ate 25 Euro worth of food each day. Quality service from day one. 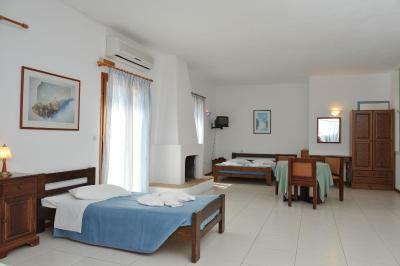 Clean and quiet rooms, staff very attentive, pool fantastic. All in all would highly recommend. A good variety of food to choose of and plenty of it. Lovely view from our room and the breakfast area. 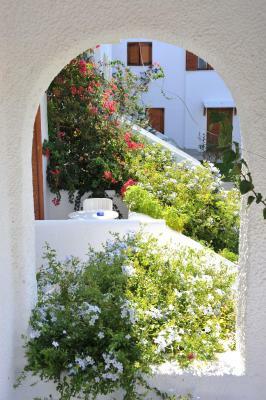 Direct access to the pool (ask for ground floor room!). Friendly and helpful staff. 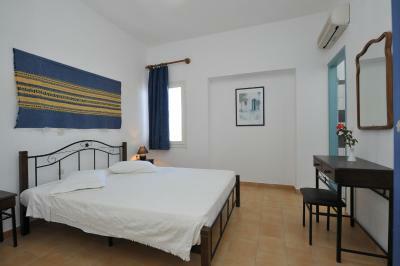 Rooms cleaned every day. Good security. 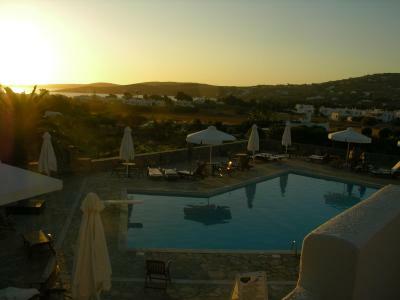 Lovely pool area, enough sun beds, but it was low season. 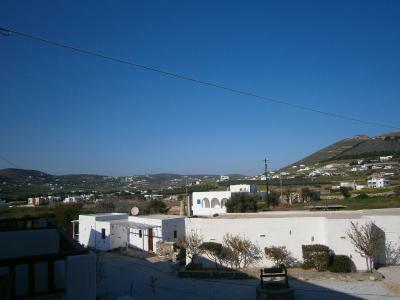 Easy walk to the front and town, about 10 to 15 mins along a lit path away from traffic. 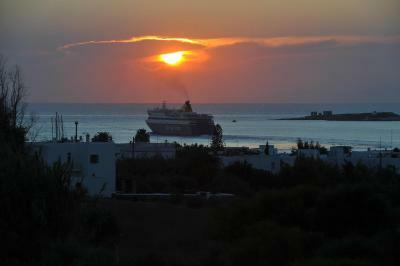 Free transfer to and from port on arrival and departure. 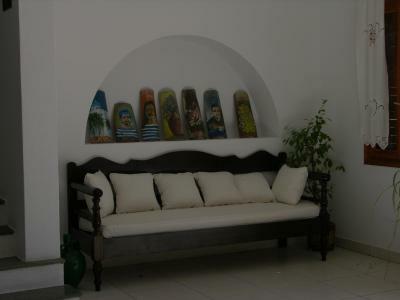 Great location, friendly staff, exceptional service, and comfortable rooms! Very helpful staff. Our room was fantastic with access to the pool. 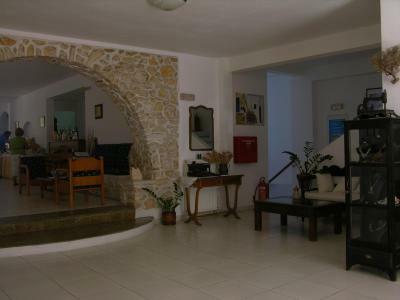 It is a little walk to the town, but a nice walk,past the beach and some great Restaurants. 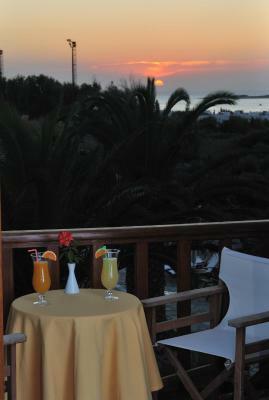 Great location, excellent breakfast & facilities and fantastic staff! 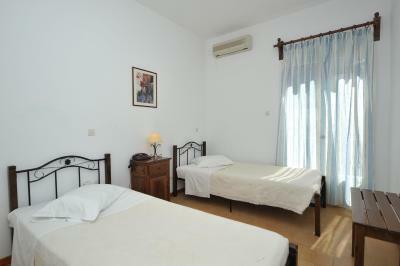 Eri Hotel This rating is a reflection of how the property compares to the industry standard when it comes to price, facilities and services available. It's based on a self-evaluation by the property. Use this rating to help choose your stay! 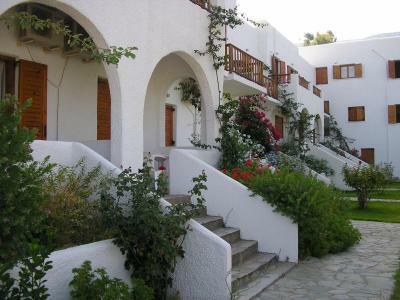 On attractive grounds, Eri rooms and apartments are traditionally decorated and have a balcony. They come with air conditioning, a satellite TV and a mini fridge. 24-hour room service is also available. 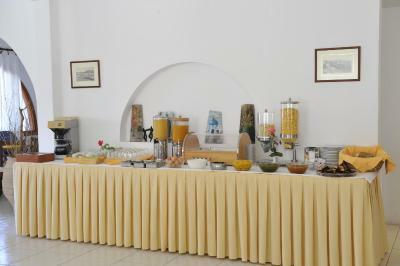 Guests can start their day with a rich buffet breakfast. 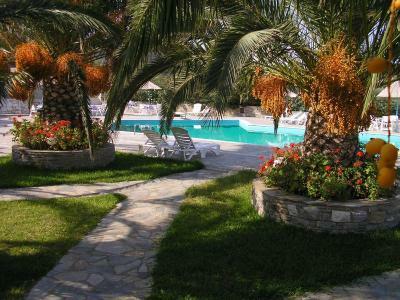 Later they can enjoy a refreshing drink or cocktail by the pool overlooking Parikia town. 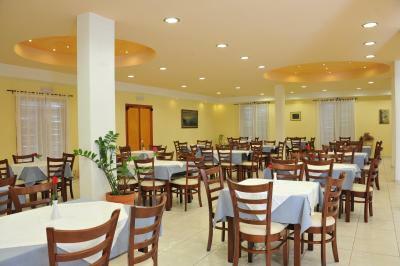 Greek and international cuisine is served at the hotel’s restaurant. 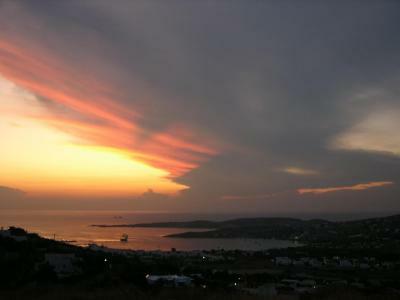 The nearest beach is 1,000 feet from Eri. 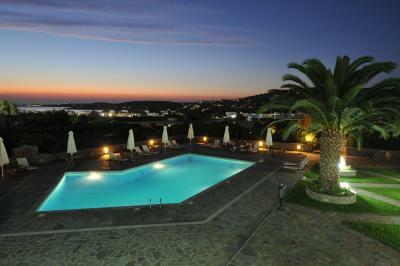 Paros Airport is a 20-minute drive away. Private on-site parking is provided free of charge. 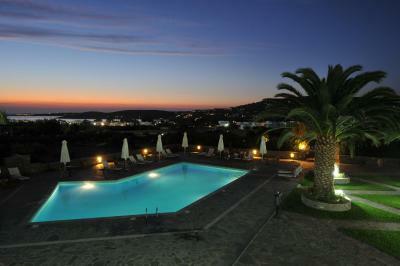 When would you like to stay at Eri Hotel? 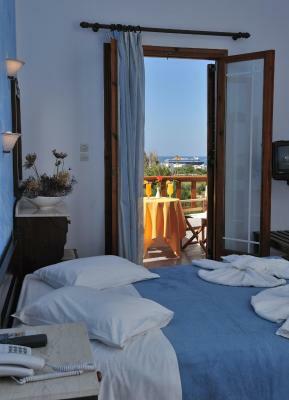 This double room offers views of the Aegean Sea and the pool. It also offers free Wi-Fi. 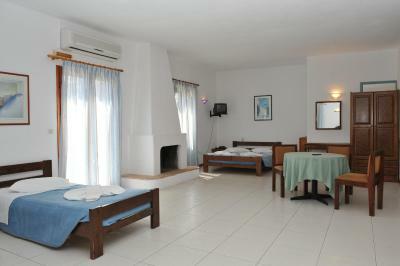 Air-conditioned room with a private balcony and free WiFi. Room service is provided. 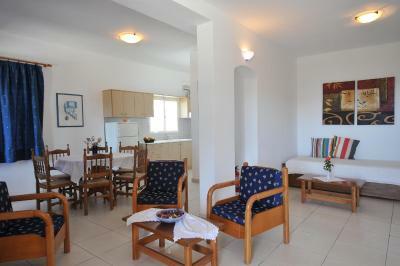 This spacious, air-conditioned apartment features 2 balconies overlooking Parikia Town. 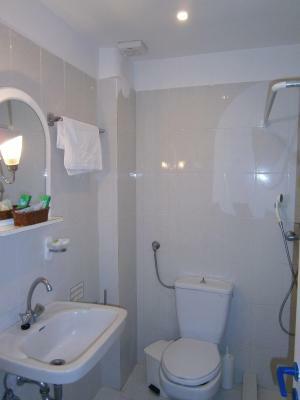 It also has a fireplace, free Wi-Fi and 2 bathrooms. 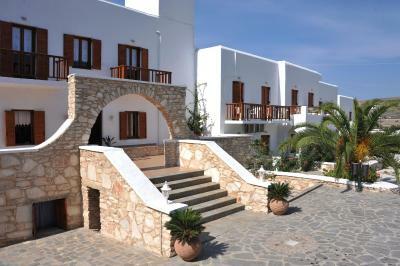 Spacious, 2-bedroom apartment with porch overlooking the Aegean Sea and the pool. 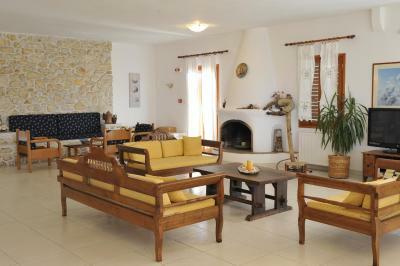 It features living room with fireplace, kitchen and 3 bathrooms. Air conditioning is standard. 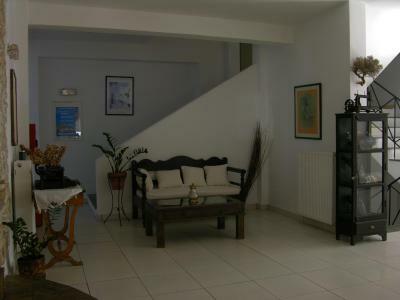 Air-conditioned room with a private balcony overlooking the garden. It also offers free Wi-Fi. 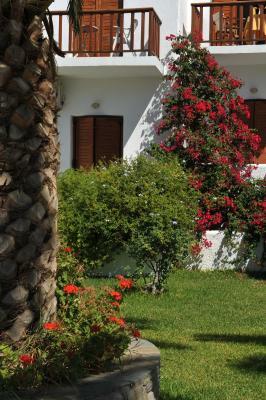 Located on the ground floor, this room offers garden views. 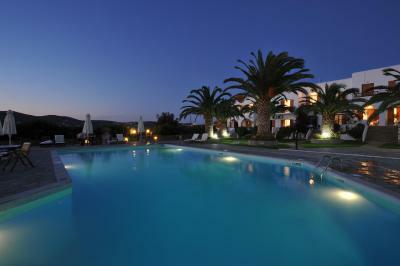 The Eri Hotel is situated on the most beautiful of all the Cycladic islands, Paros, with striking features from the Ancient Greek civilization, the unequalled Cycladic Architecture, the picturesque beaches, the deep blue sea and the unique sunset. 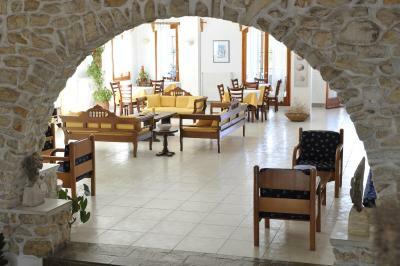 The Eri Hotel is a 3 - star family hotel.The Eri Hotel boasts an abundance of areas which have a breathtaking view of the mountains or the sea, allowing the guest to enjoy a lovely sense of serenity and freedom. 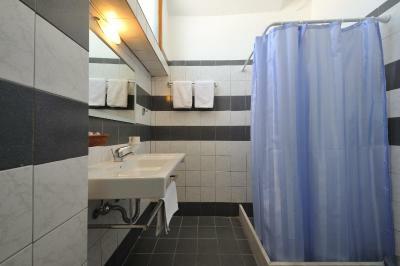 House Rules Eri Hotel takes special requests – add in the next step! 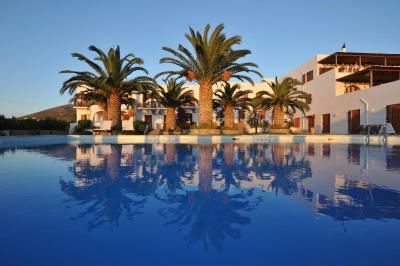 Eri Hotel accepts these cards and reserves the right to temporarily hold an amount prior to arrival. There was a wee hike walking here with our suitcases but that’s because we didn’t arrange transport. On the return they did and it was great. When we didn’t have our bags we enjoyed walking down there path at the back of hotel towards Parakia for dinner. The Hotel Eri was amazing. We loved everything about it! Very helpful staff, friendly. Good breakfast. Comfy bed. Room was a little tight but ok. Pool was fantastic and has outdoor bar service. You can also walk to town which is far.